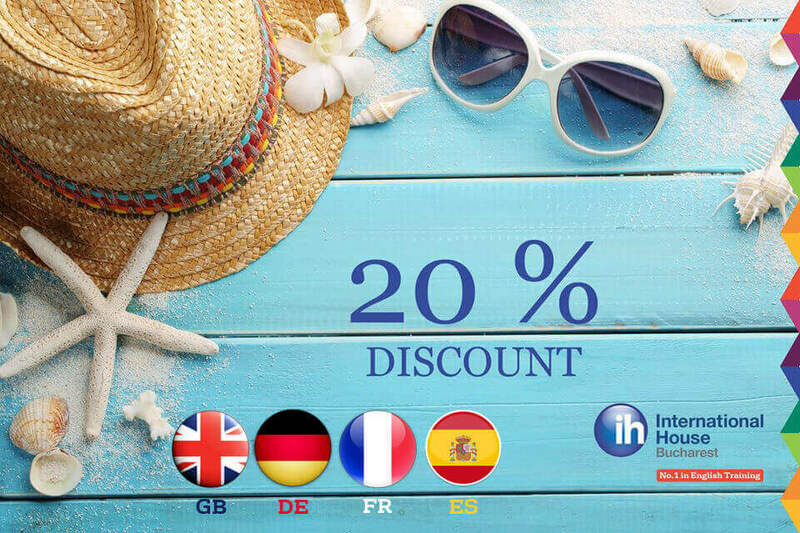 The 20% discount is available until the 9th of September 2016! For a 38.5 hour module you will pay only 740 RON instead of 924 RON! Learn how to master a new foreign language, together with more than 10.000 students of International House Bucharest, the leader of the Business English Courses in Romania!